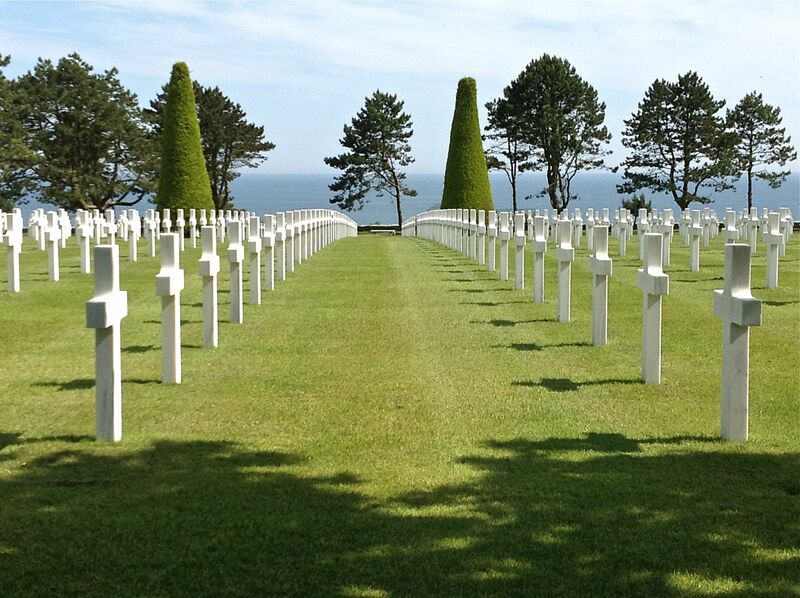 We all know the picture—row after row of white grave markers arranged in perfect order. However, I had never been to the Omaha Beach memorial in the Normandy area of France. So, as I turned the corner I knew what I was going to see but not what I was going to feel. What welled up in me was a rush of emotions as I walked that hallowed ground. I felt extreme sorry and grief for all those who gave up their young lives. Yet I felt thankful for those who sacrificed their lives so that my family could grow up in freedom. And I was humbled that anything I have done in my lifetime pales in comparison to the sacrifices made by our fathers and mothers. As I stared at the row of crosses, with a Star of David interspersed, I thought about the supreme sacrifice that Jesus Christ made to absolve each from of us from our sins. Human kind has never been able to lay down its swords and guns, with war a way of life for us. Yet Jesus gave up his own life so that we may be saved from our sins of war—including the wars we fight each day on a smaller scale with one another. The brave soldiers who gave up their lives defending the ideal of freedom are now free from war and enjoy the peach of eternity with Jesus. May we do our part each day to bring a little piece of heaven to earth by trying to love not fight one another. Don’t let the sacrifies made for you go to waste! Try letting some of Jesus’ love flow through you to others. This entry was posted in Thought for the Day, Uncategorized and tagged inspiration, Jesus_Christ, love, peace by reallifesecrets. Bookmark the permalink. beautiful… so happy you are back.